Fireworks night is almost upon us! As the 5th of November rolls around quickly this week, we must think about our pets’ safety. The celebration of bonfire night dates back to the Gunpowder plot of 1605, when explosives expert Guy Fawkes was caught attempting to kill the King. Fawkes was part of a Catholic conspiracy to blow up the Protestant King James I of England (VI of Scotland) while he was attending Parliament. Guy Fawkes was betrayed and caught red handed on the 5th November. Legend has it that fires were lit across the country to celebrate the survival of the King. Fawkes, meanwhile, was sentenced to death for treason by being hanged, drawn and quartered! “Remember, remember the 5th of November. Since 1607, England and Scotland have celebrated Bonfire night by lighting bonfires and, more recently, setting off fireworks. Fireworks are contentious amongst pet owners. While some pets are fine with fireworks, others can have a very adverse reaction and can be terrified of the noise. We’ve gathered some suggestions for you to keep your pet safe and as comfortable as possible during the night’s celebrations. If you know your pet is scared of loud bangs (or you are unsure) it’s best to talk to your vet. In the most extreme circumstances, some vets will prescribe a sedative to make your pet drowsy. This should ONLY be used with the prescription from a vet, please do not self medicate your pet with human medication or internet bought medication. Feeding your pet a large meal that is high in carbohydrates can help to make them feel naturally more sleepy. Discuss this with your vet prior to fireworks night to see what they suggest. If you are concerned about your pet escaping, consider microchipping. If you cannot keep this is a great safety net should they escape. It seems we say it on every blog, but we really do advocate microchipping (and physical ID on dogs, horses, AND cats) to help you and your pet be reunited, should the worst happen. 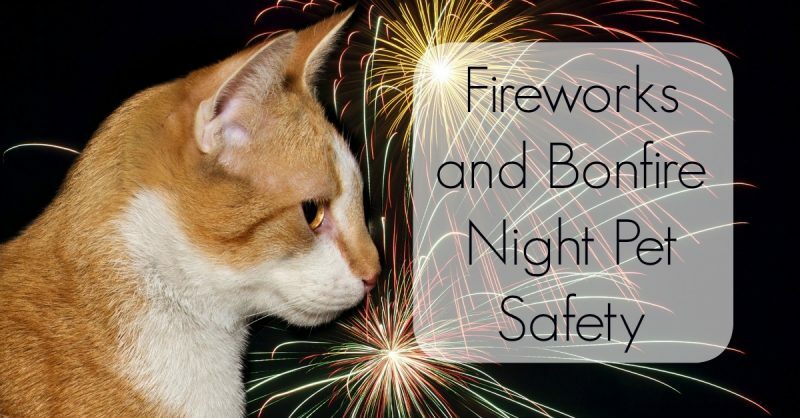 A good place to start with fireworks night safety is to keep your pets indoors. While this may be easy for dog owners, cats can become restless. Provide a littler box for your cats and keep an eye on them attempting to escape. Give your pets somewhere warm and dark to hide if they are very scared, a covered crate or a dark corner can help to settle them. If your pet really is terrified, they may not be the only one who needs to stay in. Consider keeping your pet company throughout the night, but do not over coddle (or punish) as this will make them more anxious. Try to play with your pets and keep them busy to take their mind off of the noise. Some vets suggest ambient noise (such as the TV or radio) to distract them. Closing the curtains and windows to muffle the noise and keep out the flashes of light can be very beneficial. If your pet is particularly nervous, there are anxiety wraps you can buy (or make) that are a great natural help for nervous pups. Check out our DIY Pets board on Pinterest for the instructions. Some pets will need to stay outdoors. Pets such as outdoor rabbits, horses and some birds will not be able to be moved inside. 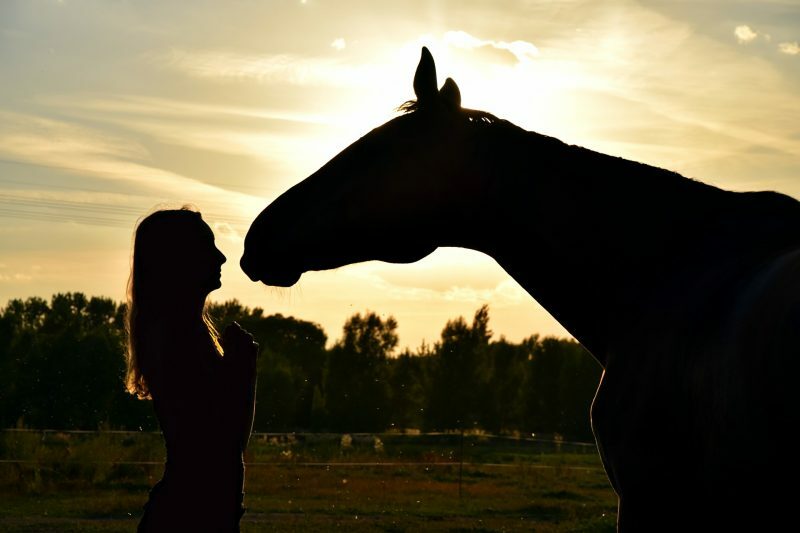 It’s recommended to keep horses in their natural environment as much as possible. Do, however, monitor them if you’re not sure how they react to fireworks. For rabbits and outdoor birds there is a suggestion to turn hutches towards the wall and/or cover cages with blankets or towels to bock out the flashes and muffle the sounds. Once again this really depends on the temperament of your birds and rabbits, but its worth considering. If you need to walk your dog, try to walk him early while it is still light. There is little to no chance that fireworks will be going off during daylight hours and its less likely to scare him. If you will not be home in time to walk your dog before it gets dark, consider either missing that evening’s walk or allowing a professional dog walker to do the job. While many people may not realise it, horses can be just as afraid of fireworks as dogs and cats. If your horses are scared, then its a good idea to tell your neighbours. If your neighbours are considering fireworks in their neighbouring fields, they may reconsider (or at least adjust where they plan to set them off) when they realise your horses are scared. As a matter of safety, do NOT ride your horses while fireworks are going off. It is suggested that you do not go near your horses while there are loud bangs such as fireworks. Horses can get spooked easily. They are very large and powerful animals who many not be able to stop themselves kicking out at even the most beloved owner. We suggest monitoring your horses, but from a safe distance. Consider WiFi enabled CCTV if you really are concerned. On the whole, most fire works night pass without a problem for both pet and owner, but its a good idea to be prepared in any case. Have a clear fire escape plan in your house and make sure everyone knows what it is. It may sound heartless, but the fire service do say to leave your pets if you cannot safely grab them in the event of a fire. We always suggest following their advice and having the safety of yourself and your family be top priority. The morning after fire works night, it is a good idea to just check for stray fireworks. This is especially important if you have horses or walk dogs in fields that may have been used for displays. Do not allow your pets to chew on discarded fireworks (dead or alive ones!). From everyone at Petrest, we hope you enjoy the bonfire night celebrations and stay safe with your pets.